As we advance towards June 1 and the start of hurricane season, several organizations have published their 2018 hurricane forecasts, the National Hurricane Center has announced technical changes designed to improve communications during this hurricane season and preparation for potential storms is recommended. Colorado State University and North Carolina State both predict a more active than average 2018 hurricane season. Colorado State predicts 7 hurricanes and 14 named storms, with the probability that at least one major hurricane would make landfall along the entire continental US coast at 63%, along the East Coast including Peninsula Florida at 39% and along the Gulf Coast from the Florida Panhandle westward to Brownsville, TX at 38%. This forecast is based on the expectation that no significant El Nino will occur during the summer or fall. North Carolina State predicts that the 2018 season should see 14 to 18 tropical storms and hurricanes forming in the Atlantic Ocean, the Gulf of Mexico and the Caribbean Sea combined. Seven to 11 of the named storms may grow strong enough to become hurricanes. The average from 1950 to 2017 is six so NC State is predicting above the average number of hurricanes. 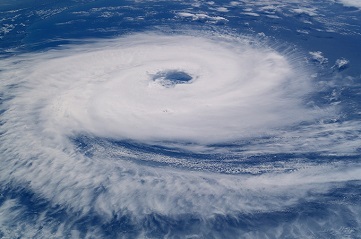 They further predict the possibility of three to five storms becoming major hurricanes. There is good news for those in the areas prone to hurricanes. The National Hurricane Center is shrinking their cone of uncertainty as their forecasts are getting better. Also, watches and warnings will go out earlier in advance of the storms, which will provide more time for people to get ready. Technology is improving to aid predictions and warnings, but it’s up to you to be ready and prepared well ahead of any potential storms. Take what we learned from the very active 2017 season to get ahead of what might happen in 2018. See 2018 Hurricane Season Part 2: It’s time to get ready! for preparation recommendations and links.